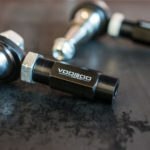 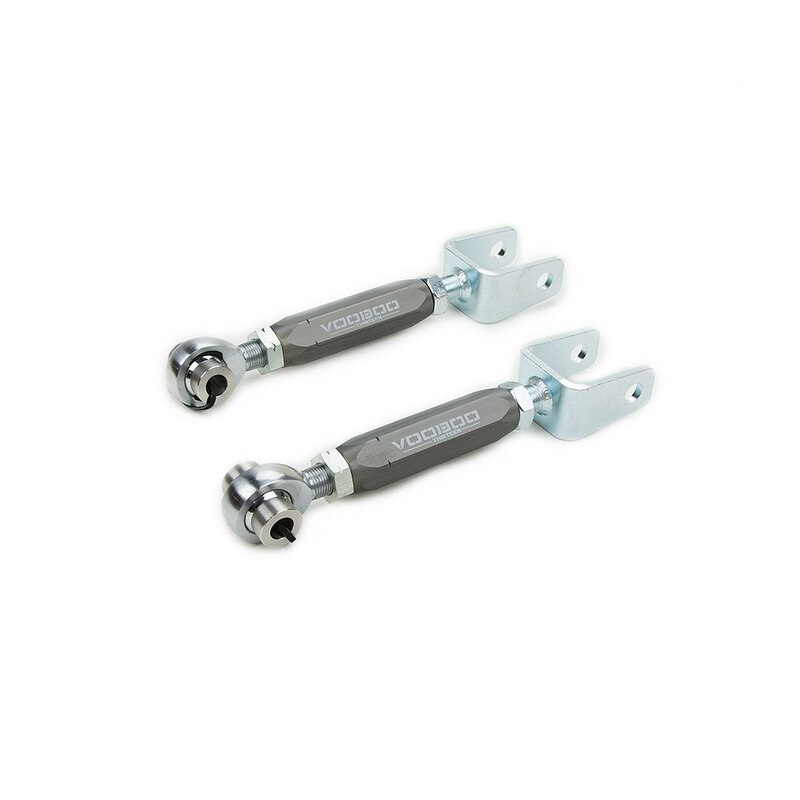 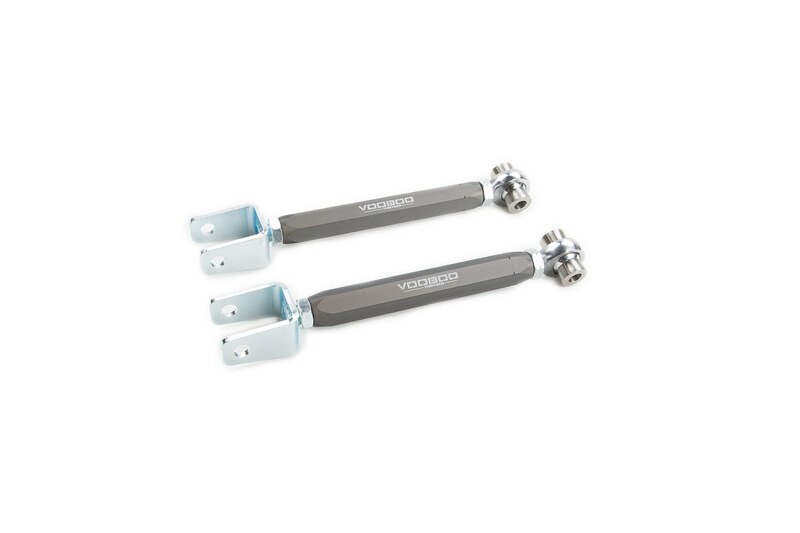 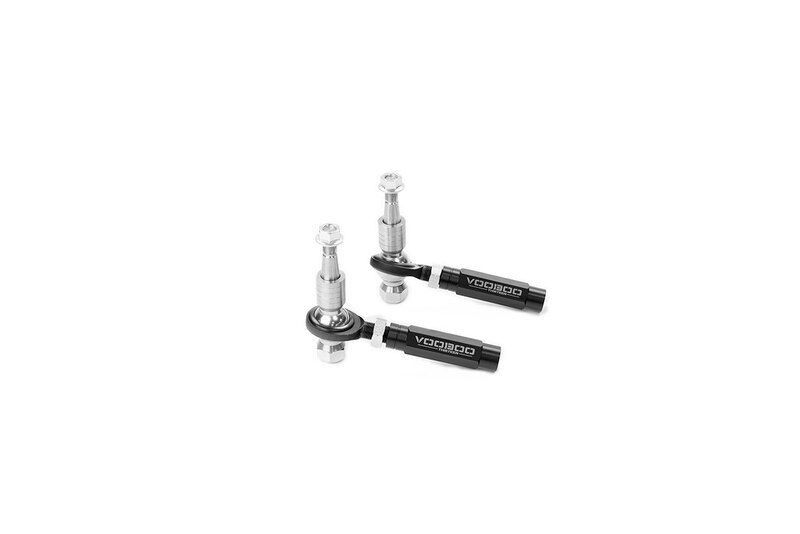 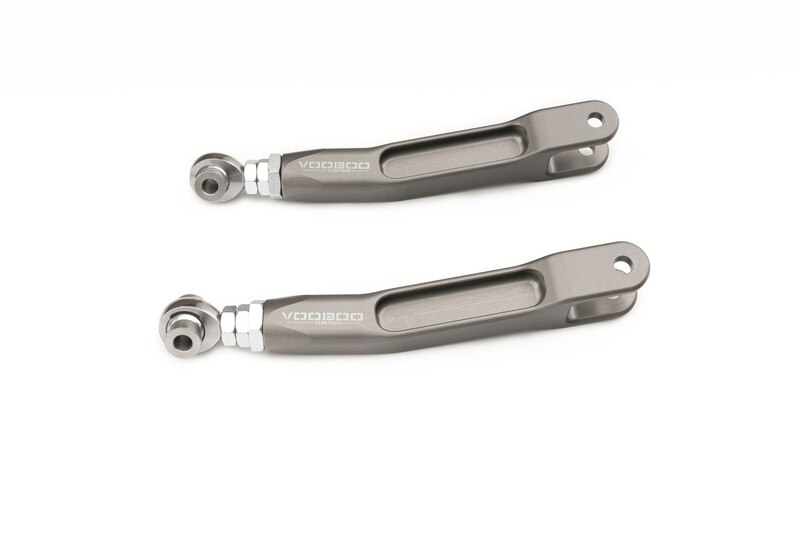 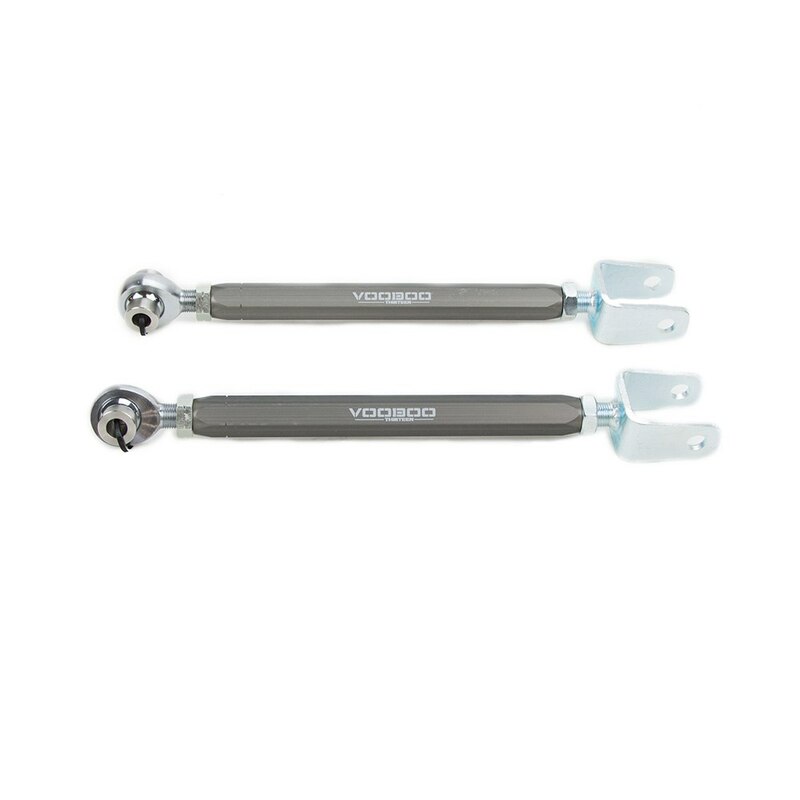 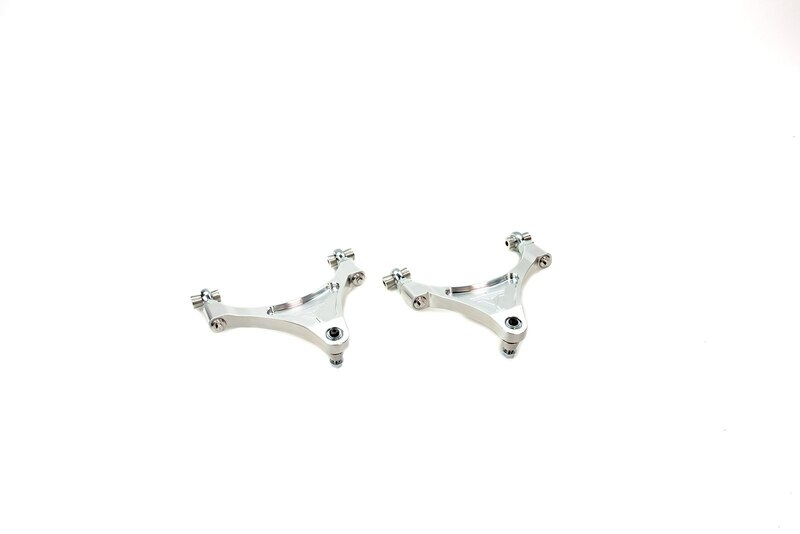 Voodoo13 G35 outer tie rods allow for adjustable bump steer correction. 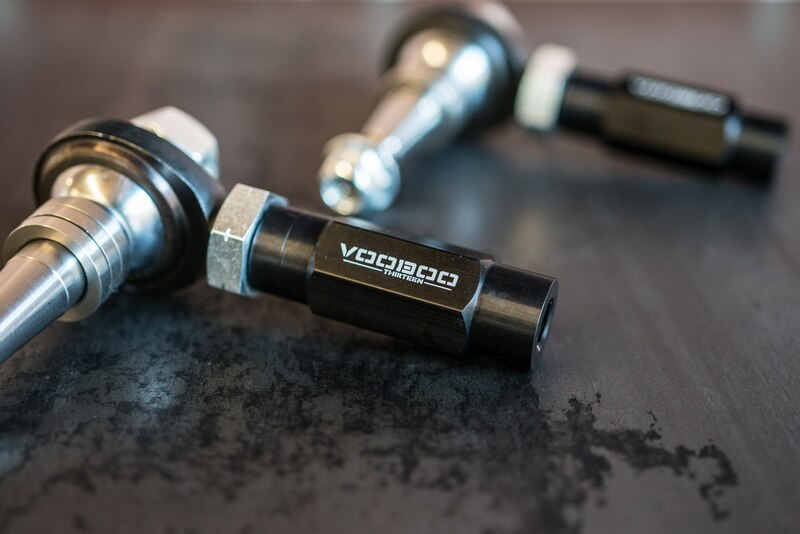 With an excessively lowered car, the changes in the suspension can cause unwanted handling characteristics such as bump steer. 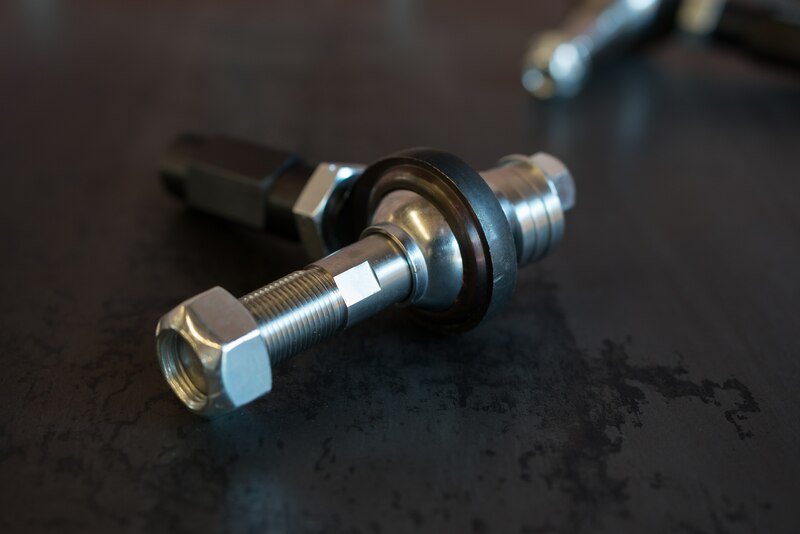 Roll center will also be effected negatively when lowering a car which can cause the car to roll more when cornering. 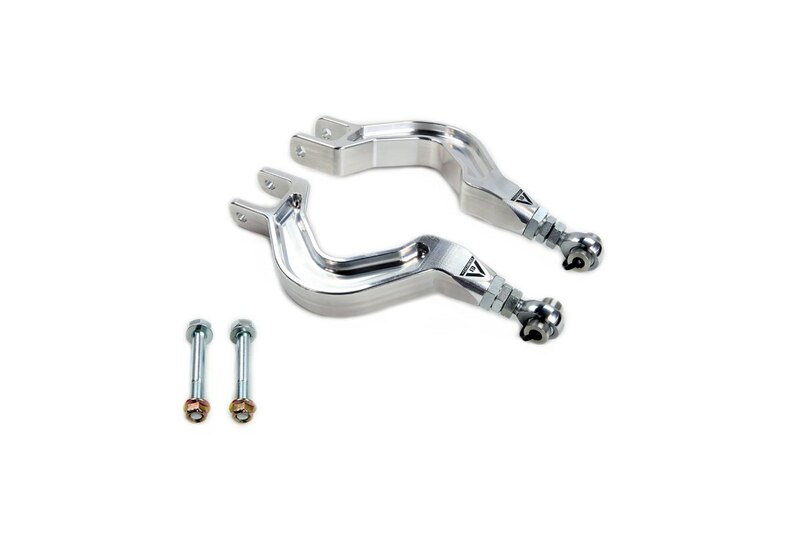 Bump steer is when the driver’s input is absent when steering the front wheels, and it steers itself during road imperfections due to improper suspension geometry. 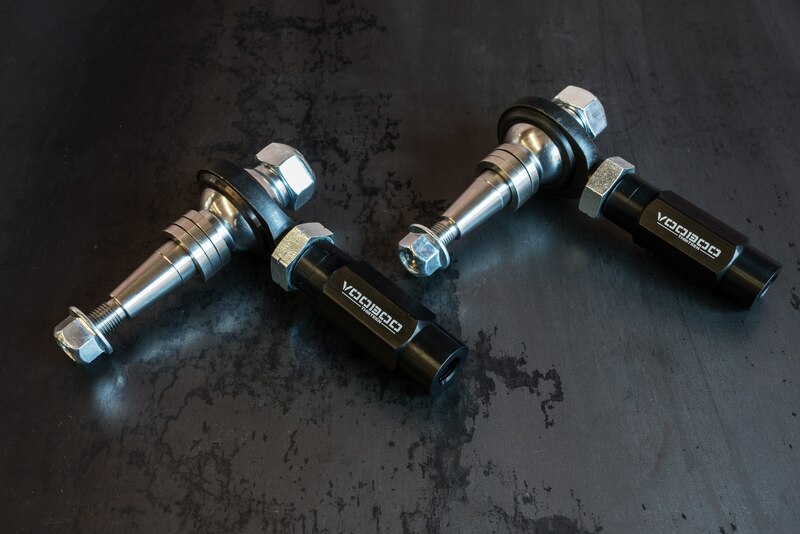 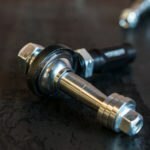 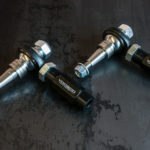 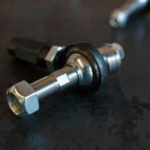 With our adjustable tie rods, you can fine tune the suspension geometry using the included spacers to dial out bump steer as well as relocate the roll center closer to OEM position which also reduces the stress on the ball joints in the steering system. 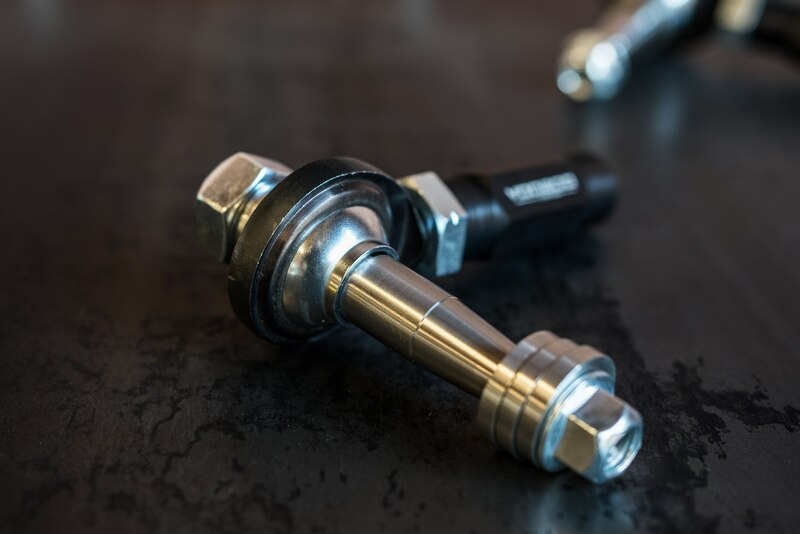 To ensure binding isn’t a problem, our outer tie rod ends incorporate QA1’s high misalignment rod ends with 64° of misalignment angle. 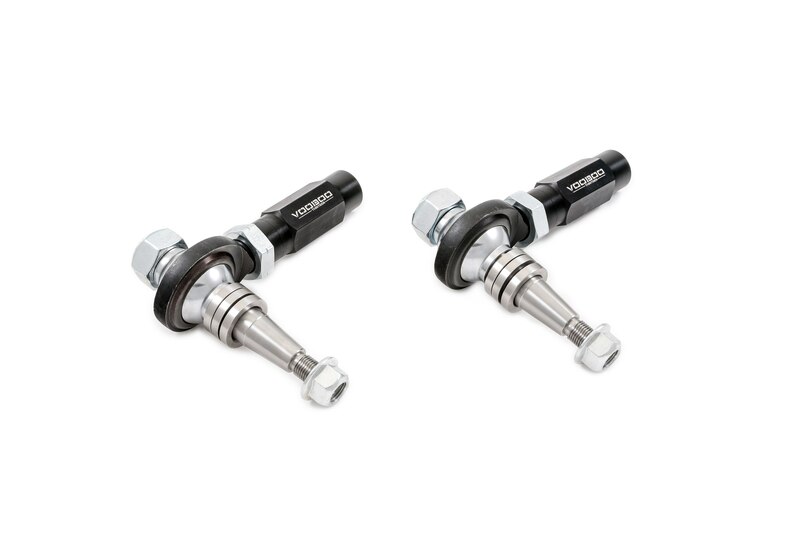 Up to 15mm of bump steer adjustment in 5mm increments.